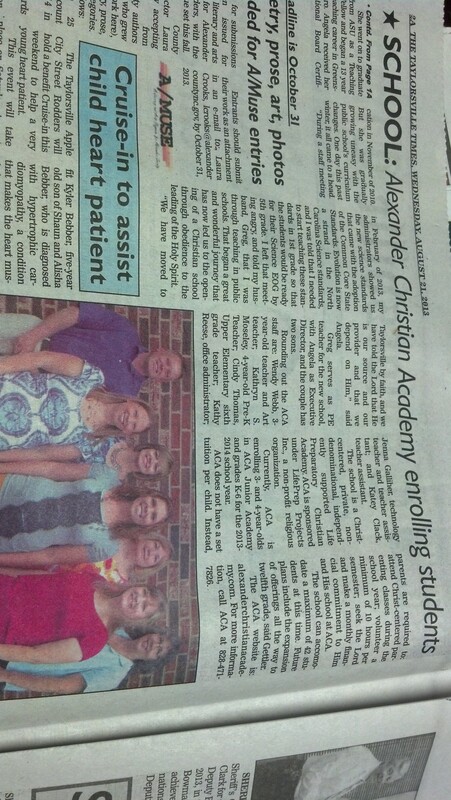 We had our first official staff meeting yesterday morning at Alexander Christian Academy. We talked about the greatness of God and all of the wonderful things that He has done in the past few weeks in bringing His school and His staff together. It was by far the most anointed, God filled, staff meeting that I have ever attended. We sang How Great is Our God in a precious worship time. We also gathered at the alter together as a staff along with Pastor Neil Bowman and dedicated Alexander Christian Academy to the Lord. It was so wonderful to praise God together for all that He has done for His school this week. On Wednesday an article was released in the Taylorsville Times about the school, and Greg and I got a phone call soon afterwards asking us to come and speak at the County Commissioners meeting in September. 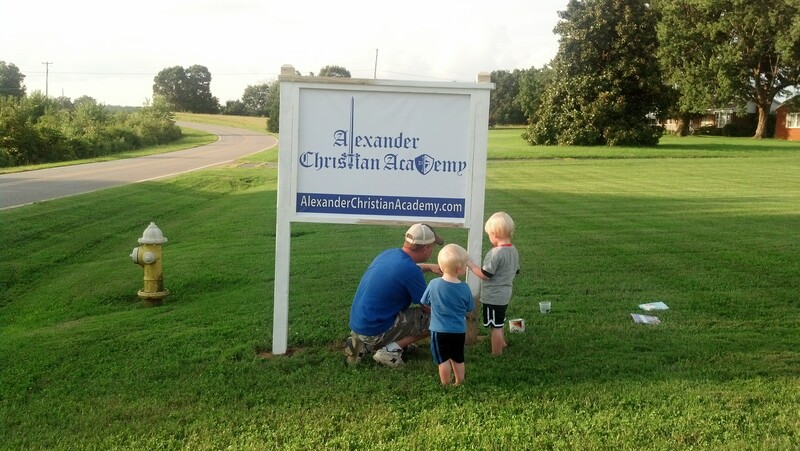 Yesterday, Greg, Phillip, and our two boys installed and painted our new sign for the school. Micah and Joel "helping" Greg paint the sign. I also picked up another van full of items that were donated to Alexander Christian Academy that included boxes full of curriculum materials and books. The Lord is directing His Provision to supply every need of His school that He has called us to start. We will have our Open House tomorrow afternoon to show all of Alexander County the Goodness and Faithfulness of God. Please come and see what the Lord has done. 3919 Icard Ridge Road. Hickory, NC 28601. Open House 2-4pm with a parent interest meeting at 3pm. 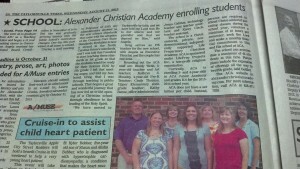 Come and hear the amazing way God has established His school in Alexander County.